In Australia, sports sponsorships are big business, and an area that is continuing to expand. We take a look at trends within the industry, best practice when it comes to aligning your brand with another and what happens when it all goes horribly wrong. The June 2013 Australia and New Zealand data analysis report by IMR Publications puts the value of Australian sports sponsorship at $774 million and New Zealand at NZ$182 million. Relative to GDP, the report suggests that sponsorship spend levels are significant and compare favourably with other developed nations. Analysis of the data shows that, in Australia in particular, the profile of sponsorship differs from other Western economies. The study found that in most countries the financial service sector is by far the dominant player in sponsorship, typically accounting for between 20% and 25% of total spend. In Australia, however, it is only 13.4 percent. Similarly, telecommunications is normally another major investor, but again in Australia, Telstra’s rugby league title sponsorship, at $22.3 million is the only deal of major significance and the sector is worth just 5.6 percent of the total. Instead, the automotive (13.2 percent), alcohol (7.4 percent), government (6.1 percent) and soft drinks (6 percent) industries contribute higher levels than in most countries. A global example is recruitment agency Randstad, which has been a principal sponsor of the Williams Formula One team for the past nine seasons. The key to creating a successful sponsorship, according to Ximo Soler Casamada, Randstad Australia’s marketing, communications and concepts director, lies with the fact of whether the company did its homework before venturing into the agreement. The Formula One partnership has provided Randstad, a start-up business, with half a million viewers in nine of its key markets. Formula One has provided the company with a platform that Casamada calls, “pretty exciting”. In markets where the company is beginning to branch out, like Abu Dhabi and Malaysia, its Formula One partnership has allowed the business to leverage its presence there in a highly visible way. “It’s this global platform covering the five continents and it goes for nine months in a row. It provides us with huge team exposure, and the fact that we found Williams in this perfect harmony with us, well, it was just a rounded concept,” adds Casamada. From the Williams Formula One team’s perspective, sponsorships are what keep the business alive. The generation of new sponsorships and maintaining existing partners is absolutely crucial for what the team does every day. Williams boasts a strong marketing and commercial team for working on both obtaining new sponsorship dollars as well as keeping existing sponsors satisfied. “[The marketing and commercial arm of the business] is not just about bringing in the new business, it’s about making sure that the partners that we have are getting a significant return on their investment, because there’s a huge amount of competition for partners in Formula One,” she says. From an agency’s perspective, the first step in creating a successful sponsorship or partnership, according to senior sponsorship director at Mango, Ben Greenslade, is to look at a client, what they are trying to achieve in the marketplace and then find a brand with which the client is culturally aligned. “Volkswagen in Australia is an example where we looked at how we could connect their marketing objective to deliver real value for them in the sponsorship space. We came up with a strategy that says how their marketing objective can fit into a sponsorship, and then it was about trying to find a rights holder, or somebody, a sports team or a governing body, who are culturally aligned with that brand,” says Greenslade. Regardless of whether they involve sport or not, sponsorships of any kind can provide a very powerful tool for a brand to enable them to start a dialogue with potential consumers or existing consumers around a specific passion. The thinking being that if you can engage somebody around something they are passionate about, add value to that passion and do it in a way that’s sympathetic to what your brand is about and enables you to achieve your brand and business objectives, then it’s much more powerful than one-way comms. The industry is so healthy in fact that almost $800 million was spent in rights fees by brands alone last year. “Obviously, sport is a key part of the culture and so it’s a space where brands really, really want an association. If you look at the categories in Australia – automotive, alcohol, government – they’re all areas where, when you look at it as a percentage, Australia is actually investing more in sponsorship than other countries around the world. Automotive is a really good example. It’s so competitive, all brands out there, certainly in the top 10 of the market in Australia, are looking to have an involvement in the sport space,” Greenslade says. But not all brands are placing such a high value on this particular marketing stream. Vodafone, rather sensationally, last year axed its lucrative sponsorship deals with the Australian cricket team, the summer Test series and its V8 Supercar team to save tens of millions of dollars. The network made the decision to divert the funding to customer service and improving its network. Vodafone had been a key cricket sponsor for more than a decade, first through the parent company’s Orange and 3 brands and then under the Vodafone banner when the companies merged in 2009. Orange came to the rescue of Cricket Australia in 2001 when major sponsor Ansett collapsed. The deal was thought to be worth between $10 million and $15 million to Cricket Australia each year. The company had also been funding Australia’s most successful V8 Supercar team during its six-year sponsorship. 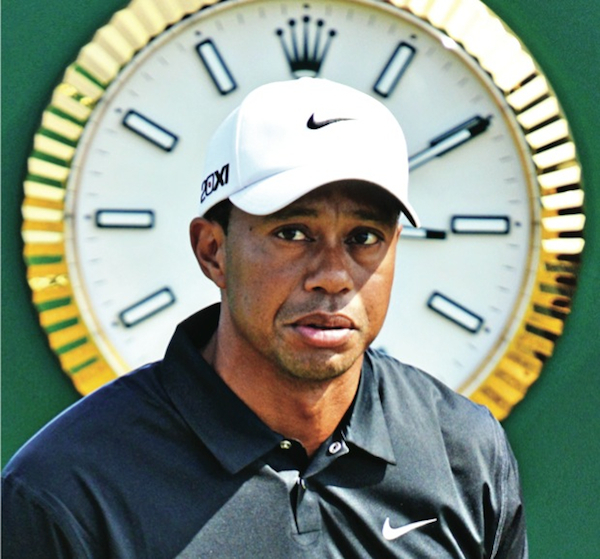 There is possibly no greater example of that than of golfing great Tiger Woods, who was touted as a clean-cut all-American family man, until his multiple mistresses finally had had enough and went to the media with the details of his affairs. So do you stay or do you go? A plethora of sponsorship deals jumped ship as mistress after mistress came forward to alert the world to some of Woods’ more unsavoury pastimes. 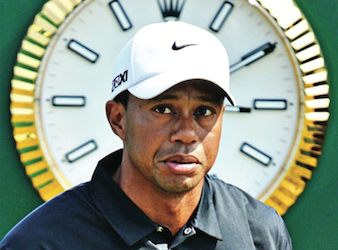 Nike, however, stuck by its multimillion-dollar deal with the golfer and continues to sponsor him to this day. “They [Nike] actually turned it on its head and created a concept around it [the controversy] and stuck by him, because they were sponsoring the athlete at the end of the day, and his performances with the golf club, and they stuck with him. “A lot of brands would have dropped him at that point, but they didn’t, and I think they came out a bit better because of that kind of support,” says Gilbert-Smith. The best advice for risk management is simply to do the work upfront and try to find a partner that your brand is ethically and culturally aligned with, says Greenslade. if you, as a brand, are putting fans that bit closer to the thing that they really care about; i.e. their sports team, then you’re doing a good job as a sponsor and it should lead to a positive uplift in your brand awareness, your brand consideration among that audience,” says Greenslade. a substantial amount of time. Do your homework beforehand, align with a brand similar to your own, and if you’re sponsoring a world-beating golfer who appears too good to be true, well, good luck.